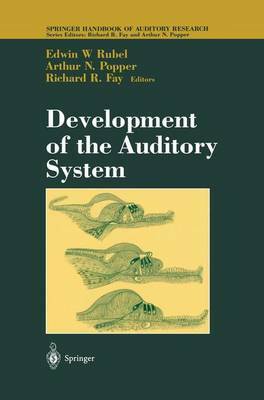 The contributors to this volume have provided a detailed and integrated introduction to the behavioural, anatomical, and physiological changes that occur in the auditory system of developing animals. Edwin W Rubel is Virginia Merrill Bloedel Professor of Hearing Sciences at the Virginia Merrill Bloedel Hearing Research Center at the University of Washington, Arthur N. Popper is Professor and Chair of the Department of Zoology at the University of Maryland, while Richard R. Fay is Associate Director of the Parmly Hearing Institute and Professor of Psychology at Loyola University of Chicago. Each volume in this series is independent and authoritative; taken as a set, the series will be the definitive resource in the field.